Many homeowners may know what style of shingle they have, but knowing the brand is another question. For most, it’s easy to distinguish between a 3-tab shingle and an architectural shingle. Determining and confirming the brand is often not as easy. It’s important to know the type, style and color, but most importantly, the brand of shingle that your home has. The reason for this is because several manufactured shingles on the market are either no longer being produced or have been recalled by the manufacturer itself. 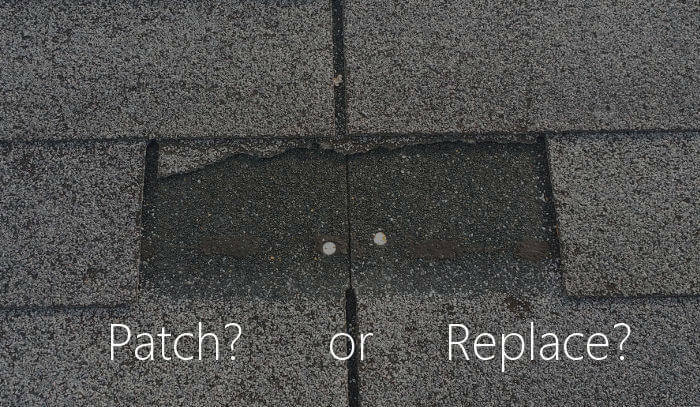 We’ve covered some of these important reasons regarding discontinued and faulty shingles. Upon confirming the brand, you’ll know if you may be entitled to any type of credit or warranty reimbursements. When you think of having your entire roof replaced, you obviously would probably seek out hiring a roofing contractor. On the other hand, when it comes to smaller jobs, you may just consider your local handyman. While a local “Chuck in a truck” repair guy may do great work, he may not have the experience or knowledge to truly identify any real underlying issues. Experienced roofers have the ability to identify if a roof has been impacted by any type of storm damage as well as have a trained eye to be able to determine if there are any installation errors that may be causing the issue. Right out of the gate you would probably assume that patching is far more affordable than replacing your entire roof. Before you confirm that assumption, let’s look at these possible scenarios. Color matching shingles can be difficult. One primary reason is due to the age of the existing shingles. Over time, shingles will mildly fade in color. This is hardly noticeable at all if you still have all of your existing shingles, but if your roof is a few years old and you add new shingles to it, you’ll definitely notice the difference. When shingles are replaced, it can often create an upward spiral of continuing damage. For instance, if your shingles are brittle, upon lifting the existing shingles to install the new, you may end up breaking them one after another. Furthermore, if proper underlayment material is not overlapped correctly then you will be subjecting your home to additional areas of water penetration which causes even more damage. Every insurance carrier is different. Some are willing to go over and beyond when it comes to keeping their clients happy. Unfortunately, there are some that are only willing to play by the hand book when it comes to your entitlements. In many cases, your carrier has to provide an exact match in like, kind, size, shape and quality of the existing shingle. If you patch your shingles today and then file a claim due to storm damage tomorrow, the carrier may only grant you another small patch. Because you were ok with a patch to begin with, it’s ok for them to patch as well. Although the cost of a full replacement may seem like more of an investment upfront, the long term value can far out weigh the costs of a simple patch. It’s easy for any roofing company to brag about themselves. Here’s proof that we do it, but you shouldn’t put all of your faith in just what the company says about themselves. Researching other local and 3rd party resources can give you a valid confirmation that the experience you read about, is more than likely the experience you can expect. Some local and popular resources can include reading the reviews on BBB as well as Facebook. It’s always a good idea to check around no matter what resource you search. 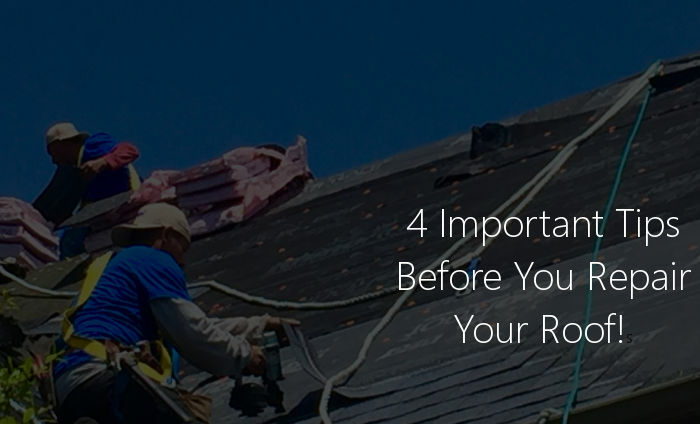 We hope these tips have given you some additional insight on how to go about approaching your next roof repair. Whether it’s a small roof patch or a full replacement, we offer quality services you can trust!